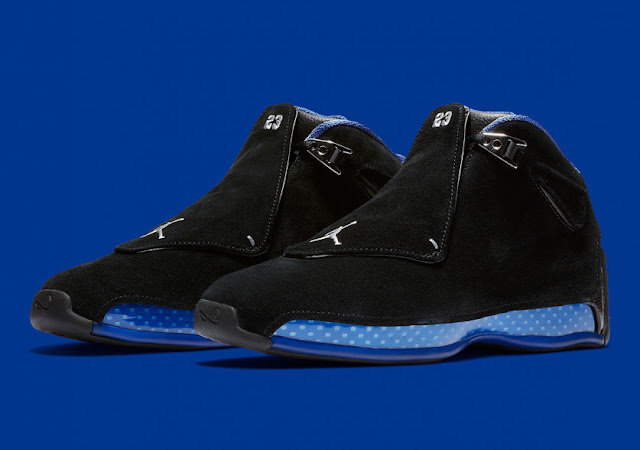 Coloured in the same OG theme that is a nod to the Washington Wizards, the sneaker is made of black suede across its upper with a removable shroud to hide its tongue and laces. The sneaker is contrasted with metallic silver upper eyelets and royal blue for the lining and trimming. 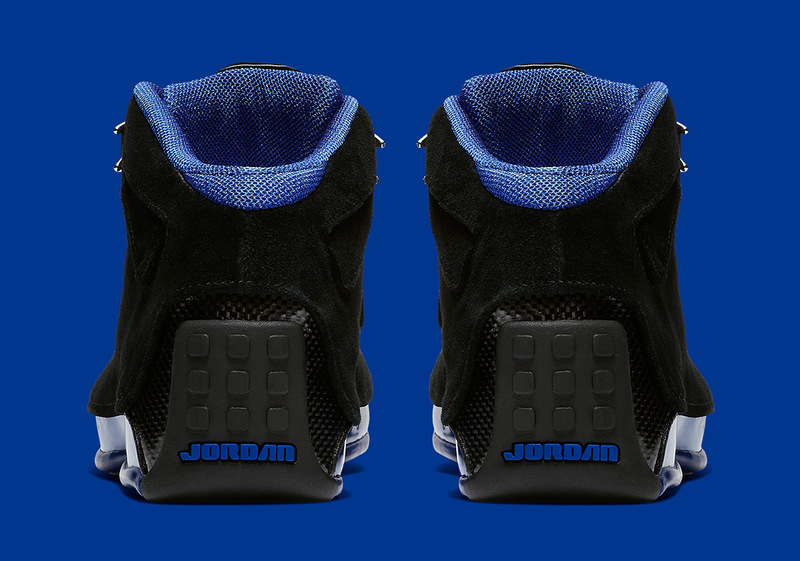 Final touches include flaps on the ankle that are inspired by the air vents of the Lamborghini Murcielago, while a blue midsole and black rubber sole tops it off. 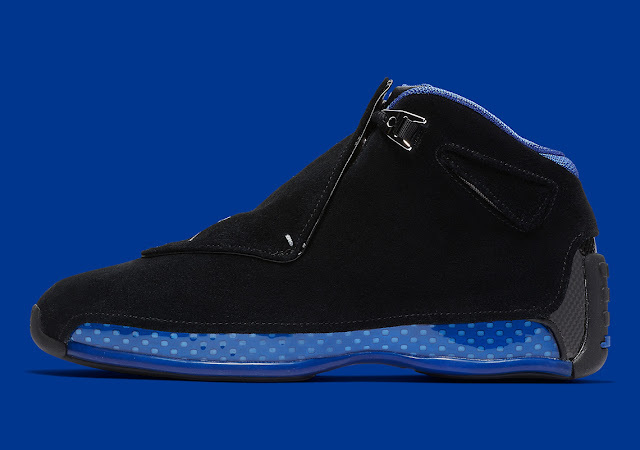 The Nike Air Jordan 18 - Black/Sport Royal drops Saturday, 27 October 2018, at selected retailers.